Saturday, July 14, 2012, Bastille Day! This is a wonderful event in which you will be able to taste some of the finest Viogniers, Syrahs, Grenaches, Petites Syrahs and other Rhone Varieties produced in the USA. I ought to know how great these wines are because i had the honor of being one of the judges in the preliminary tasting rounds. In fact, if you attend this event you will get to judge for yourself. 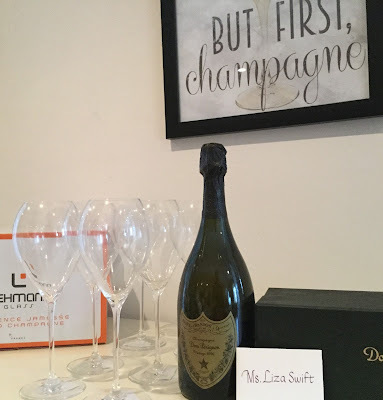 Affairs of the Vine has offered us a great deal which will expire June 10th so please take advantage of us! Fall in love all over again! 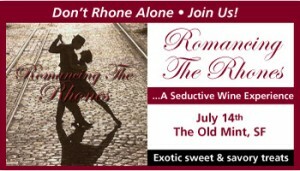 Share in a deliciously seductive Rhone experience on Saturday, July 14th in San Francisco, at the historic Old Mint. Blind taste 40 top wines from the 2012 Rhone Shootout. Pit your palate against the experts and vote for your favorites! Enjoy sassy Rhone-friendly foods from local artisans. Sample amazing Rhone wines from California, Oregon and beyond. Learn something new about Rhone varietals. Discover new favorites to take home! • On-site Bottle Booth – take home your new favorites! Don’t Rhone Alone! Reserve your tickets by July 10th and Be Upgraded to VIP Status!! Purchase the Rhone Lover's ticket ($45) and be upgraded to Silver Dollar VIP status ($65). Includes Early Admission to the Blind Tasting, access to the Barrel Tasting at 12:30 PM, and extra time to enjoy this Rhone lover's event. Sponsors: Bottlenotes, GSO, Rhone Rangers, Trois Petits Cochons, Sour Flour, We Olive, Dining Around/NewsTalk 910 and One Brick.